If your parking lot is fading, crumbling or full of potholes, you may be wondering how to fit repair and resurfacing into your already tight property budget. Don’t worry, establishing a realistic parking lot maintenance budget doesn’t need to be painful. Your budget considerations will vary based on whether you are interested in a new asphalt surface or if you just need to add an asphalt maintenance plan. Take a look at some of our suggestions to get the flatliner rolling (pun intended) on your next paving project. Long life expectancy. 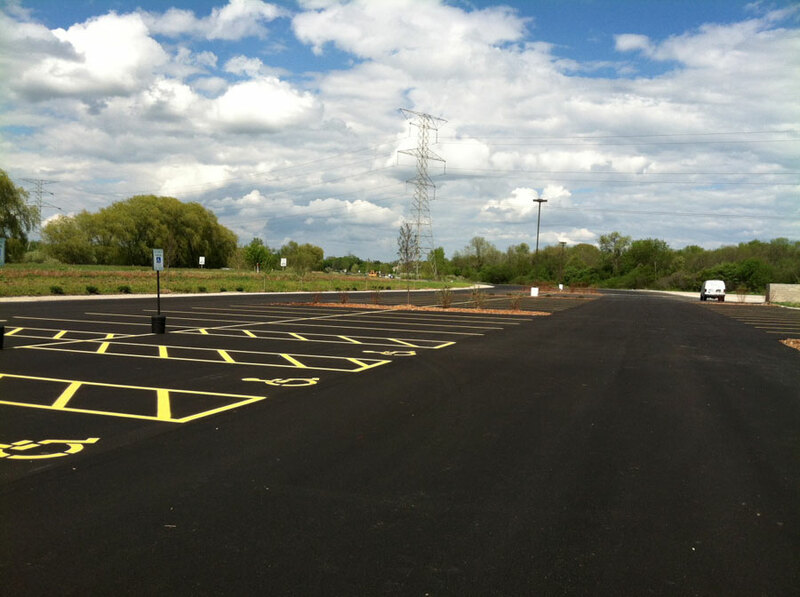 The life expectancy of a properly designed, installed and maintained asphalt parking lot ranges from 15 – 20 years. So while you may encounter a higher up-front cost, there will be space in your budget for other projects for many years to come. Your time is valuable. Make sure you consider your time as your shop around for reputable contractors. As you research how to select the best contactor for your project, take a look at their Better Business Bureau rating, whether they are licensed, insured and bonded and ensure they have the team and equipment in place to meet your project needs. Don’t waste your valuable time on contractors who don’t have the experience and knowledge to properly install and maintain your new asphalt pavement. Consider Other Budget Factors. Before you get started on the project, consider any budget considerations that many affect your tenants or customers. Be upfront and realistic with your timelines and communicate your vision for the project with all affected parties. Regular maintenance will save you money. Allocating funds to parking lot maintenance is very important. Making timely repairs on small surface problems will extend the life of your asphalt. In fact, I’d argue that every dollar budgeted early for timely pavement maintenance will save up to five dollars in future rehabilitation and repaving costs. Sealcoating is essential. Regular sealcoating is very important to extend the life of your asphalt surface. There are many benefits of sealcoating, including; restoring the look of your asphalt surface; making your parking lot easier to clean and protecting the asphalt from harsh weather and regular wear and tear. Crack-filling reduces water penetration and damage. If you are noticing singular cracks between ¼ inch and 1 inch and size, you should consider crack-filling. Taking the time to fill cracks will ensure that water is not able to penetrate and deteriorate the sub-base of your asphalt pavement. Regular crack maintenance will help extend the life of your asphalt. Every 10 years you should budget for a major restoration of well-travelled areas. If your asphalt parking lot is large, you might consider phasing repairs over a 1-2 year window. This will ensure that your repairs will not interrupt your tenants or customers. Always plan for preventative maintenance to keep your asphalt pavement looking its best. Understanding the time frame of repairs and the life expectancy of your asphalt surface can help you create a realistic budget to meet your needs. Working with an experienced contractor can help you plan appropriately for your next paving project. Does your asphalt budget follow these general suggestions? What similarities or differences do you see? For more information on Wolf Paving products and services for property managers or to request a detailed quote for your next paving project contact one of our two offices. If you live or work in the Milwaukee area, call us at 262-965-2121. For the Madison area, call us at 608-249-7931. We have been in business for more than 70 years.